Clownfish - a program, designed to translate instant messages to other languages. This application allows the user to communicate with people from other countries in the languages, which he does not own. However, this is not the only function of this program. Most people are like Clownfish tool to change the vote. Let us consider the basic functions of the program, as well as learn how to use them. For ease of use the program you need, Firstly, switch the interface language to Russian. To do this, go to the menu Preferences – Interface Language – Russian. It remains to customize Skype to work together with the program. To do this, you need to run Skype. A window appears with a warning, that third-party application requests access to Skype's resources. To continue the work necessary to allow this access. 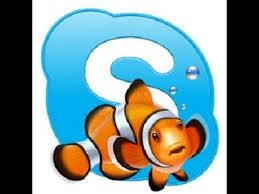 to turn functions voice changes on Skype using Clownfish need to go to the menu change of voice. There you can select listen to yourself, allowing the user to hear their voice with a slight delay. When communicating this feature usually prevents, so we recommend using it only to adjust. On the menu change of voice – Voices You can select and adjust the voice settings. In the same menu (change of voice) is a function Turn off. After her voice activation change off, and the source begins to hear the real voice of the user. by the way, in section Sound Effects You can activate various sound effects, who need to download and copy it to a special folder. program can translate instant messages more, than 30 languages. To enable translation you need to select the appropriate menu. Default Clownfish translates all messages into a language, which is set in the Skype settings. It means, that if Skype is set to Russian language, all incoming messages, regardless of language, on which they are written, will be translated into Russian. If the message you want to translate into another language, and not on the, which is set on Skype, it can be easily changed. On the menu select translator You can select one of five services, that can translate online. There you can change the settings and. for example, select a translator from Google (Google Translator). Let language, which he says the source - English. In this case, the interpreter settings need to be noted as the input language English, and outgoing - that, you want. Another very useful feature of the program Clownfish - Recording voice calls. Selecting this menu opens a window, in which you can select a folder for saved files, turn on and off the record at any time call. In addition to these functions Clownfish program also has the ability to send interlocutors Special greetings, including images of emoticons. The application contains a lot of templates, but almost all of them in English. Therefore, this function is almost never used among Russian-speaking users.